The M1 was introduced in 1941, and went through several changes. This example features a fixed bale loop for the chinstrap and an early Hawley fiber liner. 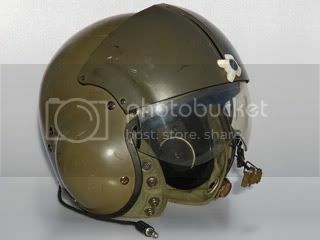 This was the first production liner, and it was very light and fits snugly into the helmet shell. This example features the first pattern United States Marine Corps liner of herringbone twill cotton. This cover does not have foliage slits, and it is reversible with a "green" and a "brown" side. This comes from the collection of Chris Armold, and is on page 138 of his book Steel Pots. The M1 went through a series of modifications throughout World War II. 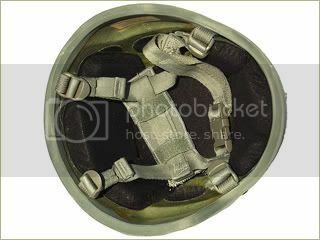 This example, which would have been used from 1943 on, features a front rim seam and hinged loop for the chinstrap. 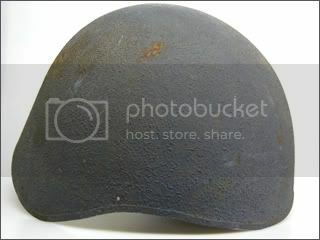 A later World War II M1 steel pot. 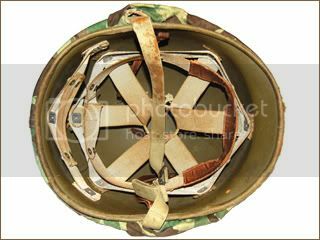 A hybrid of the M1 helmet, the M3 was developed for use by aircrews. 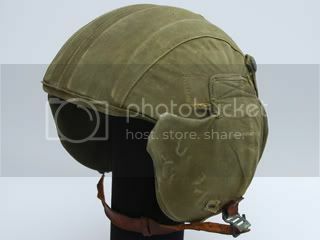 These helmets were manufactured by McCord Radiator and Manufacturing Company of Detroit. This example features handpainted flags on each ear flap, possibly indicating use by aircrews based in Italy. 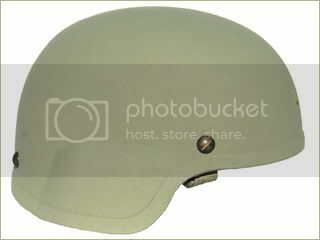 A variant of the M4 series of anti-flak helmets, these featured a steel shell and ear flaps covered with olive drab cloth. 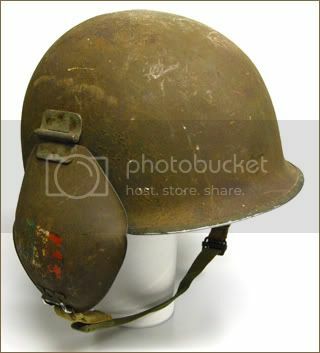 The M5 helmet combined the elemetns of the M1 and M3 helmets, and was designed to replace all existing anti-flak helmets. 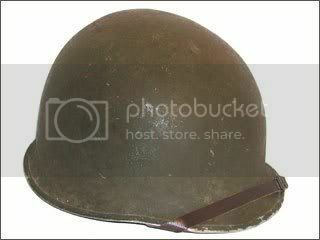 Nearly 100,000 were made by the end of the Second World War. 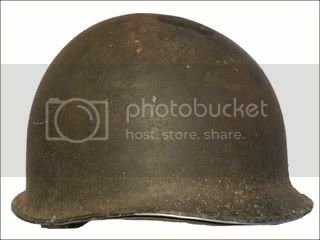 The Mk 2 "Talker" helmet was developed in 1942 for naval personnel, allowing communications headgear to be easily worn under the helmet. 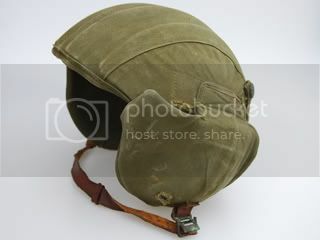 A 1940s era experimental helmet, the AN/PRC 34 (X1) featured a two-way radio system and a paratrooper style liner and chinstrap. These were made by RCA and reportedly several thousand were made. 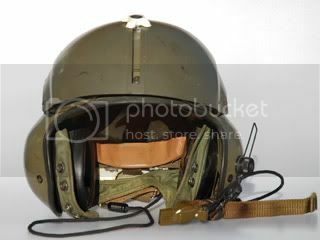 A Gentex SPH-4 helicopter helmet, used throught the Vietnam War and into the 1980s. This example features the reversible woodland pattern cover. The removable liner features the Distinctive Unit Insignia of the U.S. Army Administrative Schools Center. This example features the final woodland pattern cover, and dates to the 1970s. 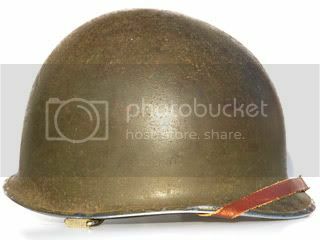 Introduced in the 1950s the T-56 was the first helmet designated as the Combat Vehicle Crewman's (CVC) helmet rather than tank helmet. 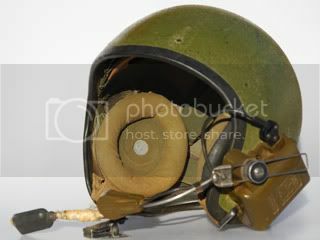 The helmet featured its own self-contained communications and microphone system. 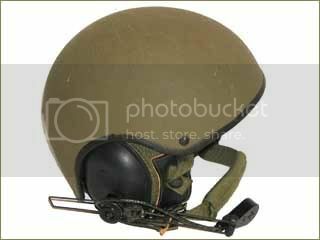 A variation of the T-56 CVC helmet with larger boom microphone. Otherwise the helmet is the same as the model above. 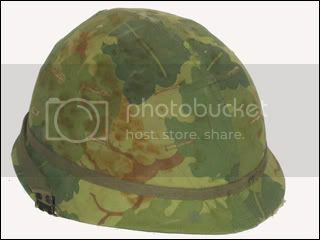 The Combat Vehicle Crewman's helmet (CVC) was developed in the 1970s by the Gentex Corporation. It was a four part system with an outer shell, inner liner, earphones and a microphone. 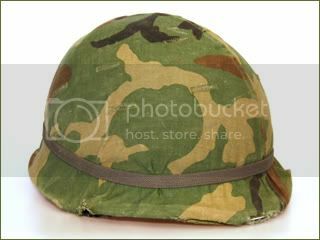 The outer shell is made of Kevlar and resins. This example is the upgraded model with improved outer shell, which was introduced in the late 1980s. 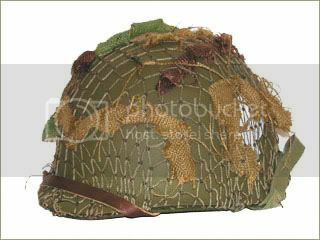 The Personnel Armor System Ground Troops (PASGT) helmet was developed in the 1970s as a replacement for the M1 steel helmet. 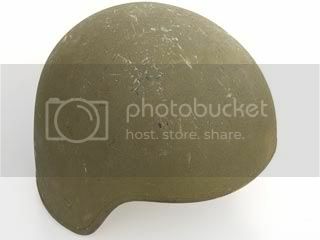 This helmet was first used in combat during the 1983 Grenada invasion and remains in service today. This particular example features a desert combat cover of the style used in the early 1980s. 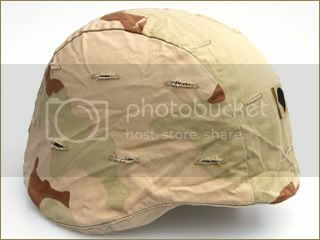 This particular example is a later version of PASGT helmet, and features a desert combat cover of the style used in the First Gulf War in 1991. 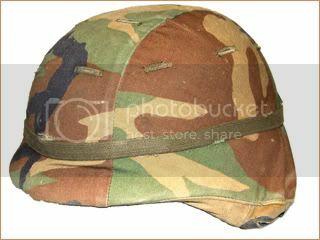 This particular example is a later version of PASGT helmet, and features a camouflage of Operation Iraqi Freedom from 2003. 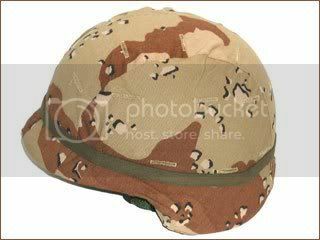 The replacement of the PASGT, the SDS is based on the Modular Integrated Communications Helmet (MICH), which began development in 1997 as part of the Special Operations Forces Personal Equipment Advanced Requirements program at the U.S. Special Operations Command. 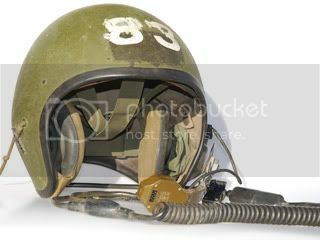 The MICH provides the Special Operations Forces the flexibility to tailor the communications capability of the helmet to the mission using one modular system. 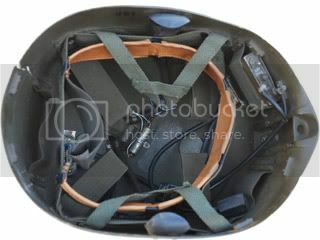 The Warrior helmet shape is designed for maximum protection while reducing weight. 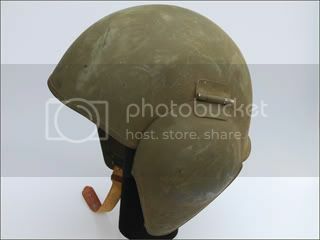 This is the style of helmet currently in use by the American Airborne units. 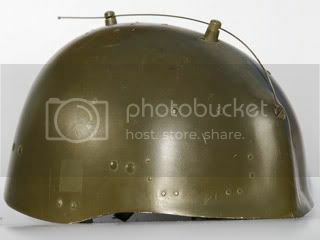 A current issue Mk-7 helmet made by Gentex. 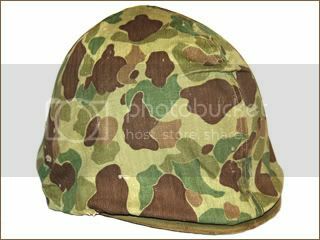 The MK-7 Naval Battle Helmet is specifically designed for combat missions faced by U.S. Naval crews onboard naval vessels.